Talented entrepreneurs have the ability to transform the global economy at unprecedented pace. Apple, Google, Microsoft, Facebook, Amazon and Alibaba are among the most valuable companies in the world. In each example, courageous founders have steered their companies to global prominence. The economically transformative power of entrepreneurship is regularly celebrated by us at Mosaic and by our friend Reid Hoffman, the visionary entrepreneur behind LinkedIn, and now a partner at Greylock. We touched upon the subject in the spring, as we drank tea and swapped stories in the Arizona desert. We were talking about startups, and mulling over the industrialisation of the startup ecosystem. Reid was a prolific angel investor before he joined Greylock, with over 80 investments, and he is involved with a number of initiatives that encourage entrepreneurship around the world, including his incredibly popular podcast series Masters of Scale and Stanford class on “blitzscaling”. He is also personally involved with two leading non-profits for entrepreneurship: Kiva and Endeavor Global. With this in mind, we suggested to Reid that we should partner up to invest in Entrepreneur First, the pioneering company creation platform started by Alice Bentinck and Matt Clifford in 2012. Reid was instantly intrigued with the concept of EF, and organised to meet Alice and Matt two weeks later in Silicon Valley. Soon after, Mosaic and Greylock were officially collaborating to help EF continue their impressive onward journey. EF can play a defining role in making technology entrepreneurship the career of choice for the most ambitious people in the world. 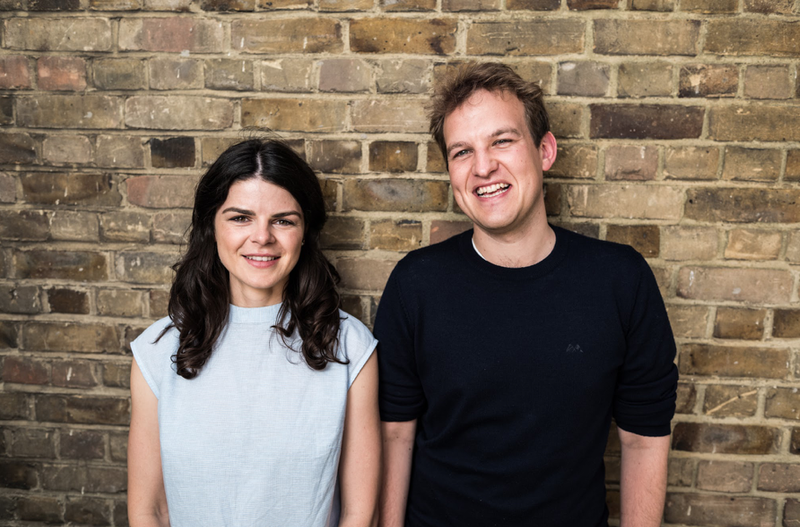 Matt, Alice and the team work with individuals with deep technical backgrounds, and support them from day zero as they build companies from the ground up. This process helps turn world-class individuals into world-beating teams, all the while helping them develop ideas, grow their business, and overcome the cultural stigma that still surrounds startups, particularly in Europe. YCombinator has achieved enormous success in Silicon Valley with its accelerator model, and has supported over 3,200 founders and 1,470 companies, including big successes such as Airbnb, Cruise, Docker, Reddit and Stripe. While it is comparatively early days for EF, to date they have helped over 350 individuals build 120 companies with a total valuation of over $1 billion. Mosaic loves to work with mission-driven founders. We seek out the individuals who challenge convention, make bold decisions, and follow the courage of their convictions. Not only do Alice and Matt exemplify these traits, but they have created a programme that unearths future generations of startup founders. It was a true team effort at Mosaic that make this all happen — from Mike learning that EF wanted to raise money from a top tier US VC firm, Simon’s conviction that we should introduce EF to the very best people, and Toby’s five year history with Alice and Matt. The Mosaic team have closely followed EF since the beginning, attending demo days, meeting their companies and enjoying the very special atmosphere and culture they have created with their founders — it is a real privilege to become a partner to such a unique company. It goes without saying, if you have strong technical chops, and want to work on a highly ambitious startup, we highly recommend you apply to EF. The global economy is perpetually on the brink of being reshaped and working with EF will give you an unfair advantage if you want to go out and transform it.